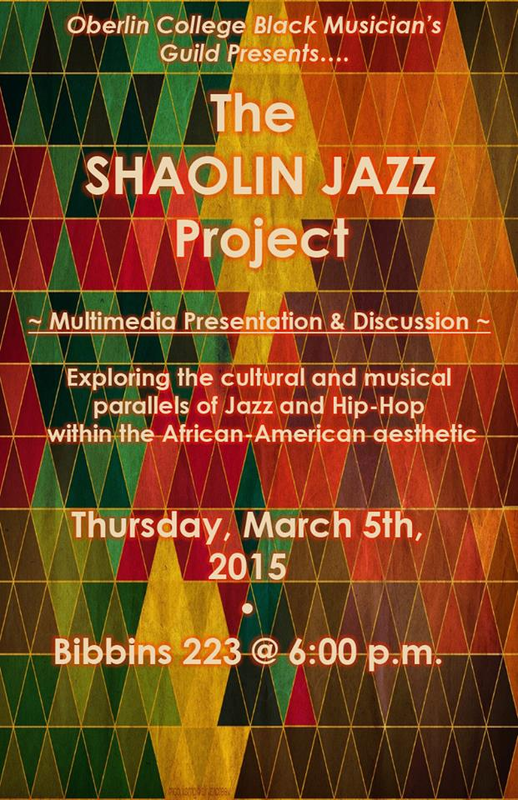 Posted on March 5, 2015, in Uncategorized and tagged africanamerican, africanamericanhistory, americanhistory, art, blackhistory, conservatory, creativity, education, hiphop, hiphophistory, jazz, jazzhistory, lecture, music, musichistory, oberlin, oberlincollege, oberlinohio, ohio, shaolin jazz, shaolinjazz. Bookmark the permalink. Leave a comment.